It seems we all know what we like and don’t like when it comes to greeting cards. Whether modern, traditional, humorous, or artistic we all gravitate to the styles that best reflects who we are. 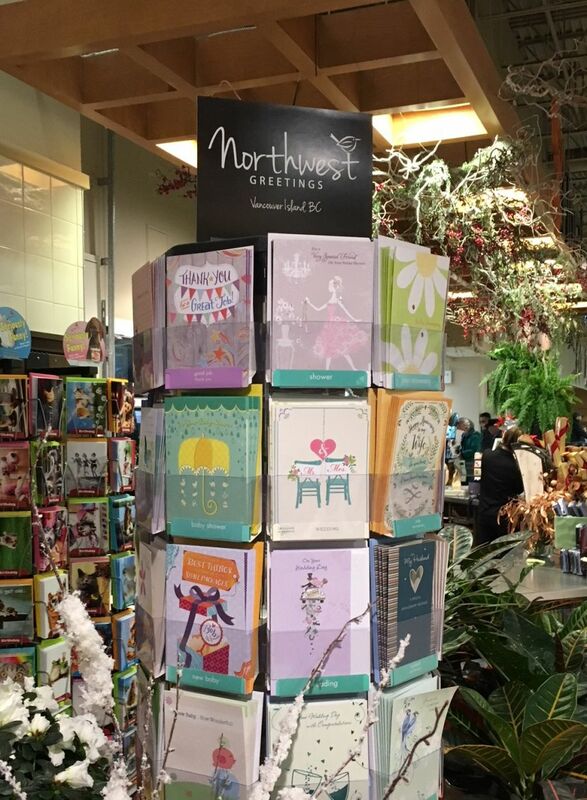 It can be hard to put aside our preferences when choosing cards to fill a display rack. The best advice we can give (other than asking us to assist you) is to choose a variety of styles while keeping your card display easy for customers to navigate. In addition to styles, you will want to consider designs. Within the birthday category, you will want some feminine designs, some masculine, and some with a more general design that will appeal to many people. Actually, that’s a fairly good rule of thumb for most categories. Of course, category selection will vary by the type of retail space and size of card display. 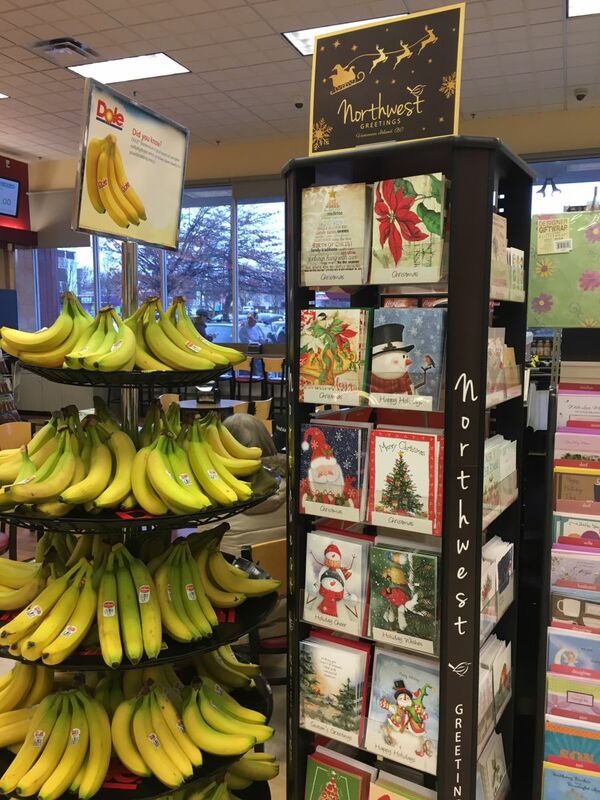 If you've ever wondered where you can get bananas and a Christmas card without moving your cart, head on down to Fairway Market in Quadra Village, Victoria. It's nice seeing our new logo displayed on top of one of our racks at Thrifty Foods in Duncan. We were going for 'stylish but fun' - just like our cards. What do you think, does the new design pull it off?